We all remember the lyrics from that famous song: “First comes love, then comes marriage, then comes baby in the baby carriage.” While these words may be music to the ears of a young couple, folks who are considering getting married later in life have many issues to think about prior to tying the knot. 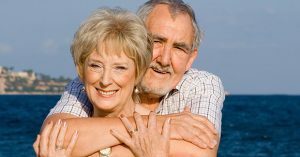 One thing is for sure: a marriage later in life will certainly complicate any estate and financial planning decisions previously made, such as who will be the beneficiary of your assets on your death and who will be responsible for making financial and health care decisions in the event you are incapacitated. For example, under the New York Health Care Decisions Act, a spouse has priority over an adult child to make medical decisions for an incapacitated spouse in the absence of a health care proxy. This may or may not be what you want. There are also rules governing whether your spouse must be the beneficiary of certain retirement accounts you own. 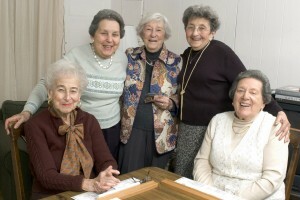 In addition, the amount of Social Security benefits available to you may be affected. The list of things to consider goes on and on. Don’t get me wrong; I am not suggesting that people should not get married in their golden years. I am simply saying that there are a lot of things to consider prior to making the right decision for you and your family. 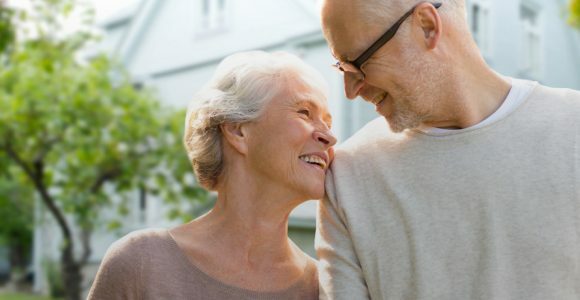 One of the most important things to consider is that by getting married you will be responsible for the long-term care expenses of your new spouse. So, if he or she needs care at home, in assisted living or in a nursing home, you will have to pay for it even if you keep your money separate. The reason for this is that the law considers the marital unit as one when applying for means-tested government benefits such as Medicaid to pay for long-term care. This is a big issue since long-term care is expensive, costing more than $200,000 a year in some cases. Moreover, pre-nuptial agreements between the spouses are not valid for Medicaid purposes since Medicaid was not a party to the original agreement. This can be a rude awakening to everyone involved if proper planning is not done. One solution to consider is long-term care insurance. This type of insurance must be purchased prior to getting a chronic illness such as Alzheimer’s disease. Thus, you cannot wait until you are on the nursing home door-step before considering this product. In fact, the earlier it is purchased, the lower the premiums and the more likely it is that you will be approved. While long-term care insurance is expense, so is the cost of long-term care. To determine if it is right for you, you must work with a reputable insurance person knowledgeable in these matters. Also, remember that just because you get married later in life, doesn’t mean that the marriage won’t end in divorce. The financial risks of divorce in a later-life marriage are typically greater than the risks associated with a divorce of a young couple. This is due to the fact that, as people age, there tends to be greater potential for a disparity in income and assets. In the event of a divorce, all marital property will be subject to an equitable distribution. Of course, you can enter into a pre-nuptial agreement if both parties are willing and able. If you are married at the time of death and there has been no waiver of spousal rights then your surviving spouse will be entitled to a right of election against your estate. While the rules are complicated, generally speaking, the right of election is equivalent to one-third of your estate. As with any legal rule, there are always exceptions and things that are not subject to the right of election. Proceed cautiously in this area and make sure you get expert advice. By addressing these issues up front, you can save your estate and your family time-consuming and costly legal battles down the road.